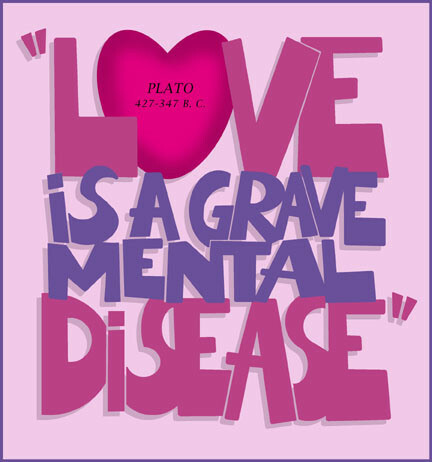 This entry was posted on Wednesday, February 14th, 2018 at 4:30 am and is filed under advice, composition, dating, domestic conflict, graphic design, lettering, love, lust, marriage, mental health, passion, philosophy, Plato, quotes, relationships, singles bars, Valentine's Day. You can follow any responses to this entry through the RSS 2.0 feed. You can leave a response, or trackback from your own site. True, but Plato also said it’s the search for Beauty and Truth. Well, Jo-Ann, I do have to admit that you know him better than I do . . .